Today an appeals court helped the RIAA extort $222,000 from Jammie Thomas-Rasset for distributing 24 songs on the internet. The original verdict called for a preposterous penalty of $1.92 million. Sure, this new amount of just under $9,000 a song is lower, but ugh, it's still absurd and horrible. It's been just a few weeks since an appeals court judge denied the appeal of regular dude Joel Tenenbaum, effectively forcing him to pay $675,000 for distributing 31 songs on Kazaa. 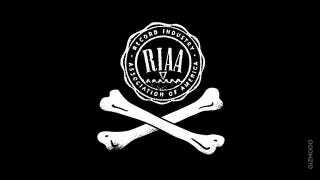 But the RIAA's latest trampling of an ordinary citizen is a larger symbolic victory for the RIAA. This lawsuit in particular made headlines when it was launched in 2007 because Thomas-Rasset is a mother of four who would never be able to repay the huge quantities of money the recording industry's lawyers demanded in court. The case isn't over, and Thomas-Rasset's lawyers will surely examine their options going forward, but this is definitely a major setback for her case.